Say hello to Kayta Kovtunovich. She will forever be known for taking the traditional UAE tent fabric and turning it into walking works of art. Dedicated to the juxtaposition of the UAE’s heritage and its modern interpretation, Katya Kovtunovich, a Dubai-based fashion designer is now known to be the first designer to introduce the modern take on the traditional Arabic fabric. Katya’s Collection is inspired by the authentic beauty of Sadou, a material widely used in the UAE for upholstery. 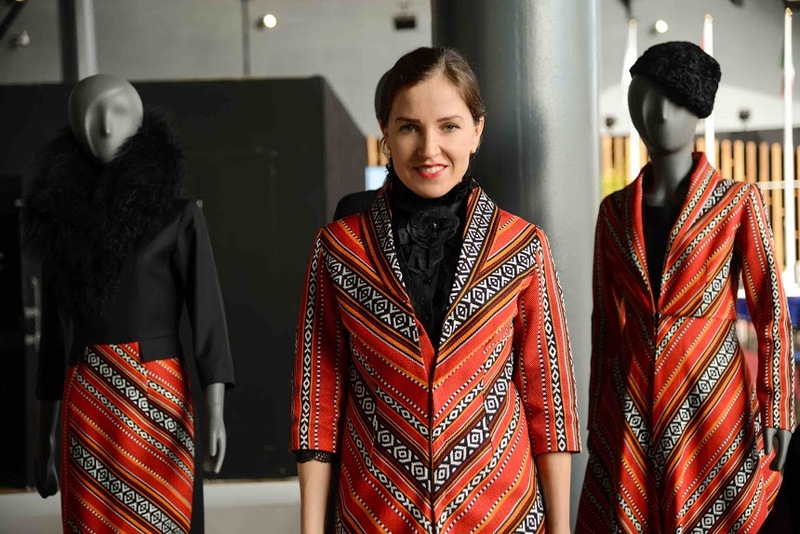 Designer Katya showcases her Sadou Collection in Milano Expo 2015. “It’s natural for me to see the beauty in the unseen – the Bedouin is juxtaposed with the Aristocratic, the Desert with the City life: rough with refined, heritage with modern. Cultures, places and opposite ethnic references are all mixed up creating a new synergy and new reality”. A unique collection from a Russian-born designer, using traditional Arabic fabric, working in Dubai and creating modern clothes that appeal to women worldwide – is in itself a representation of what Dubai is all about – a global mix of cultures, visions and experiences that connects minds and creates a future.